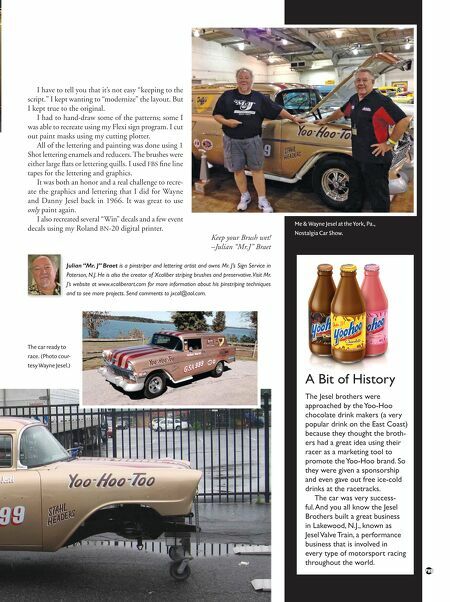 68 n Performance & Hotrod Business n January 2015 I use the same brown 1 Shot lettering enamel that I used on the Yoo- Hoo panel to letter the front fenders. I'm using a #8 French Master lettering brush. This shot shows the position of the patterns for the hand-lettered copy. HOTROD I add the 1 Shot white shadow using a #6 lettering brush. I continue with the white onto the door. Now I add the red 1 Shot lettering enamel to make the racer more like the original. 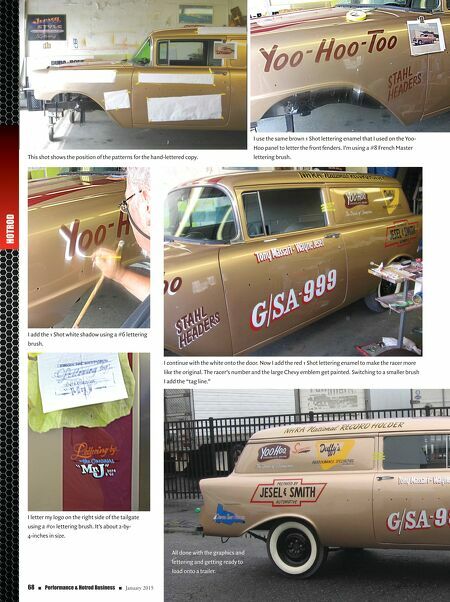 The racer's number and the large Chevy emblem get painted. Switching to a smaller brush I add the "tag line." I letter my logo on the right side of the tailgate using a #01 lettering brush. It's about 2-by- 4-inches in size. All done with the graphics and lettering and getting ready to load onto a trailer.